The process will take ample time. The process usually takes one (1) to two (2) hours. It is because the eyelash extension is being glued to your natural eyelashes. It will really take time as our lashes are hard to grasp. The duration of application will depend on the amount of eyelash extension you want. Also, there are J and C shape. The J shape is the most preferred while the C shape is sought to be more dramatic. The experience will be customizable. You will get the chance to choose whatever style, length, and type you want. You can choose Silk, Mink or Synthetic. For the length, it ranges from 6mm to 17mm. The customer will always choose for every parlor. Eyelash Extensions will last longer than you think. 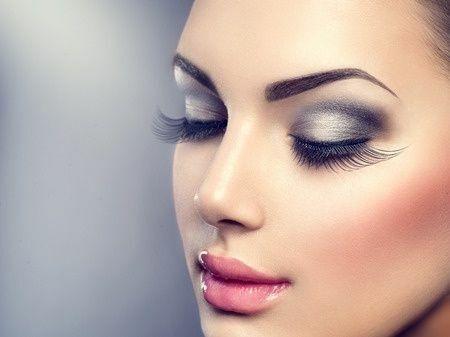 There are parlors that claim that eyelash extension will last up to two (2) months. While this may be true, a lot of experts still believe that the duration of eyelash extensions will depend on each individual. Since we have our own unique lashes, the eyelash extensions will last until it falls out. You can wear your make up along with it. A lot of women think that wearing make-up can ruin their eyelash extensions. The truth is, it can when you apply moisturized or oil-based products. To make sure you are using the right product, you can also check the label of your make-up. Eyelash Extensions are safe. The most intriguing myth about eyelash extension is that it will make you go blind once the glue enters your eyes. The glue is formulated and semi-permanent to help you. Any glue with formaldehyde can be harmful, so check if you are using this kind of glue. The glue should be put with an ease so if you experience itching, you might have an allergic reaction. Have a professional remove the eyelash extension right away. You need to have them professionally removed or wait for them to fall out naturally. For best practices, you might need to consult a professional and have your eyelash extension removed. If you find this a hassle, you can simply wait for your eyelashes to fall out. It is the most natural way of removing the eyelash extensions.